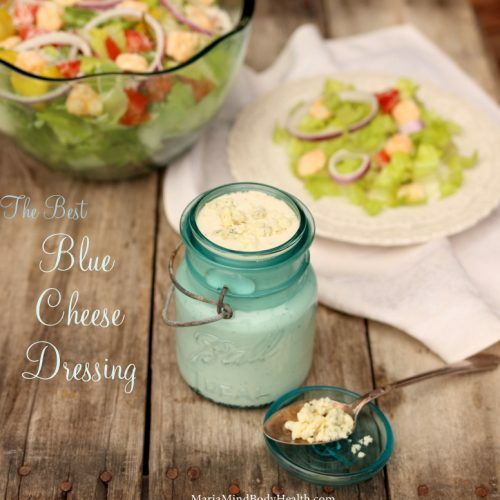 I didn’t always love blue cheese but I am in love with this homemade blue cheese dressing! 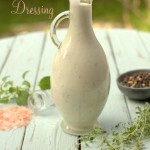 I was actually a bit disappointed when I found out that homemade blue cheese dressings always had a little sugar in them. Even my mom’s recipe! And if you think you are sugar free when eating a salad with blue cheese dressing at a restaurant… think again. Eating keto at a restaurant can be a hardship! That is why I wrote Keto Restaurant Favorites. This is also why I played around with making a blue cheese dressing and came up with a recipe that created the most flavorful best blue cheese dressing without any sugar! And what makes a salad taste even better? Crunchy croutons! So I thought I would make a Facebook live video… even though I didn’t wash my hair or get out of my comfy Saturday clothes to show you a super easy and keto Parmesan crouton trick! If you would like more easy recipes like this, as well as tons of meal plans, grocery lists and tips on how we make this a lifestyle, check out Quick and Easy Ketogenic Cooking book. Now on SALE! Click HERE to order. I would LOVE to see you post photos of you with the book on Facebook and Instagram! Those photos warm my heart!!!!! I am more like you than you realize! 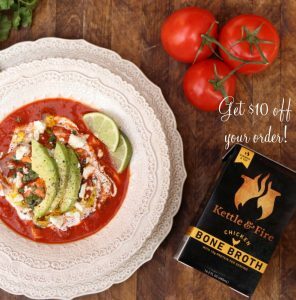 You will find about 10 boxes of Kettle and Fire Bone Broth in my pantry so I can make recipes like this super easy! Click HERE to get $10 off your order! Place all the ingredients in a food processor and blend until smooth. Place in a jar. Stir in chucks of extra blue cheese if desired. I hope you can pass this email on to Maria? This is a small comment but a big deal for me. After listening to Maria’s seminar I have make some changes in my home and started the small steps to a happier healthier family. This morning for the first time ever my little girls brushed their teeth with on guard tooth paste instead of nasty colored sugar loaded kids crap toothpaste. I was so pleased and looking around for an adult high five. Also we have changed our hand soap and I am using a defused with lavender to create a calmer scent in the home. 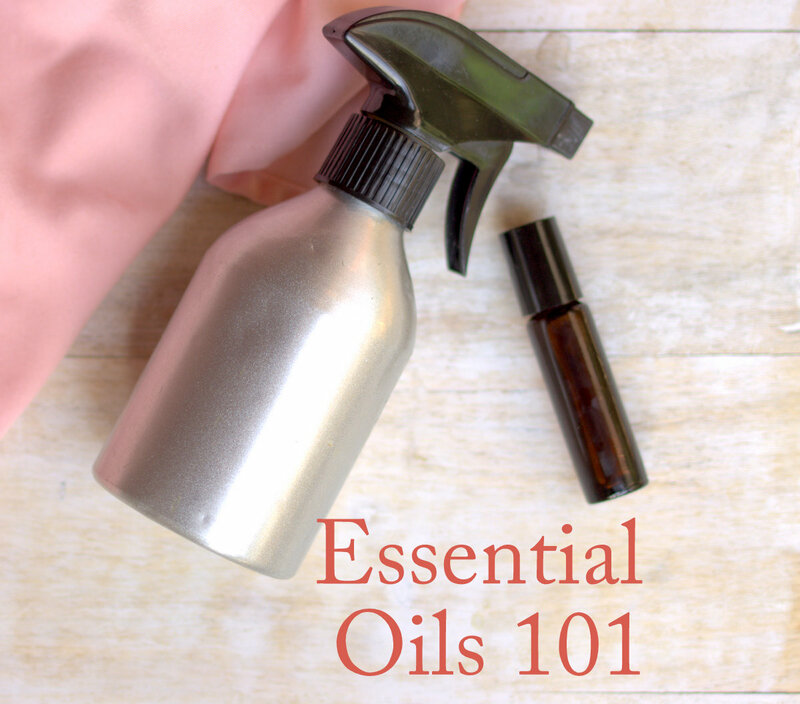 These are small baby steps and each month I get paid I have made a commitment to myself to buy an essential oil each month. Thank you to Maria and yourself to the ongoing commitment to make the lives of others happier and healthier. I have followed you guys for years now and eat healthier and cook your food a lot. I made double batch Lemon and poppyseed muffins this week and they rock. A small step but a huge thanks. Click HERE to watch my latest FREE Webinar! I’m First! I never get to be first! I never realize how many ingredients are in a simple thing like blue cheese dressing, I can’t wait to make it. Going to make it when I get back from vaycay! I love Blue cheese, so I’ll try this for sure. Thanks Maria. 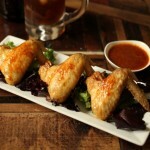 This recipe is different from the one in Fast & Easy…..so is this one even better????? Also, what about # of servings/serving size and nutritional serving? Can wait it try it!!! My husband loves blue cheese dressing. When I saw this in your book, I had to make it! He loves it and we’ve made it several times. Thanks, Maria, for testing, creating and sharing. I would say a week or even up to two weeks depending on freshness of ingredients. I am not sure where to post this but – just learning here – I have always been a great sleeper but being in ketosis causes me to be wide awake for hours and then exhausted the next day. Should I add more fat? Where can I read about what to do? Thank you. Might be hormone imbalance that is showing up when you go keto. Some supplements could help balance things out. 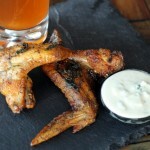 Perfect compliment for chicken wings and celery. I had no idea that restaurants and store bought bleu cheese had added sugar. Thanks for the recipe Maria! I have all your other books on my kindle but I don’t see this one offered as an ebook. Will that be an option once it is released? Oops! I see that’s an option now! Yay! I made this tonight and it was so easy and wonderful! Thanks!! I LOvE blue cheese! My husband and I have been doing Keto since March and we started out with your keto cleanse. We feel fantastic and my husband has lost so much weight. I would like my daughter to start and i would like to know. Is Erythritol safe for pregnant woman. She is 34 weeks and I want her to try these wonderful recipes. I’m not sure where to post this but I have a question re: ham-n-cheese mini quiches from the ketogenic cookbook. I just made the recipe for my son who is using the ketogenic diet to control seizures. the recipe calls for 24 eggs and the use of a mini muffin pan, but when i made the recipe it made more than double the 24 servings that the recipe indicates it will make. I want to be sure that I am tracking the nutrition information as precisely as possible for him. Has anyone else noticed this recipe making much more than the book indicates? Which one of your books explains for the beginner on a ketogenic diet how to balance their carb intake so as not to go over what is needed to stay in the keto zone?